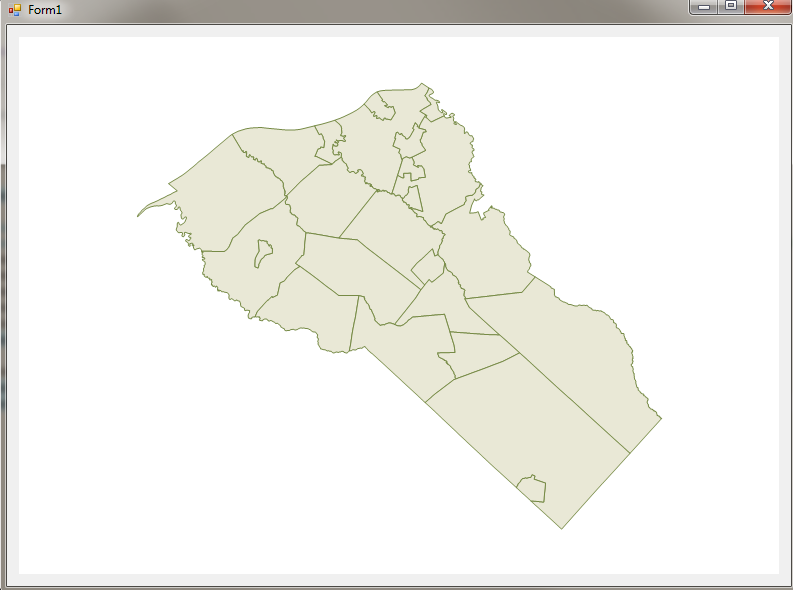 Possible to show ESRI (.MXD) format in thinkgeo ? I need sample for to open GDB(ArgGIS) from winforms. Please update sample for Winform. If the code don't works for you please let us know your problem. Its loading but map show blank screen. I am using your Shapes.gdb file it will show no issue. Please upload a sample file to us, so our developer can look into it. I tried with our GDB file its load but refer below screen shot. Does the two screen shots render the same data? If your data is bigger than 5MB, you can upload that to our FTP (You can get an FTP account from our sales), or you can put that in some netdisk for example GoogleDrive, and so we can directly download it. The data is necessary so we can look into it because our test GDB data works well. Yes , we used same data. also use below link to get our GDB file. 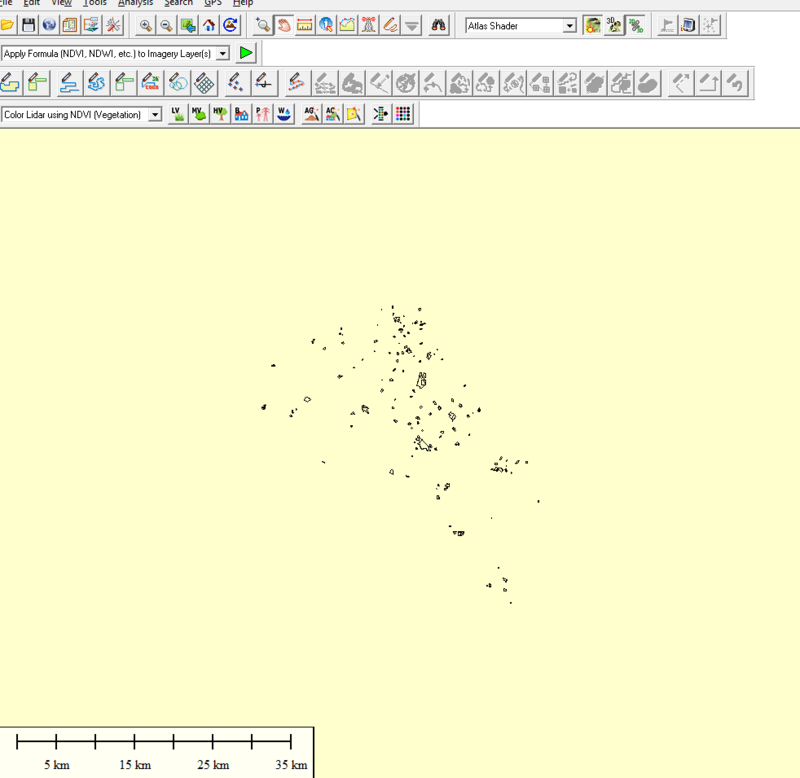 Thanks for your data, it looks our map render the table of "SCHOOL" and the ArcGis render the table of "COUNTY". In fact we have the parameter "tableName" and if you want to render many layers you need to add many instance of it. I also tried to get all table name from GDB file. But still showing previously mention above conversion. I have doubt , offline map it will show same output screen with styles like ArcGIS map screen? Or else any tool have to enable all the feature our map like you previously mention screen shot? 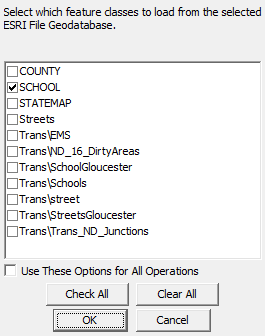 As below is rendered by GlobalMapper for "School" table. I am using map unit for DecimalDegree but your example used Meter. We already done all the functionality with MapUnit.DecimalDegree. Your GDB file is under meter, if you want to use it under decimal degree, you just need to reproject it. May i know , How to find map unit for GDB? If the point of CurrentExtent is in the range between -180 and 180, it may be DecimalDegree, if it's a big value it must be meter.